Rupert Behind The Scenes Attitude Shoot Video realesed!/Still Hiring!! Just a short update today guys! I wanted to let you know that we are still hiring! We are in desperate need of more staff here at LU! If you think you have what it takes please please do put in an application here! We defiantly need some News Posters and people who are willing to post pictures and videos. Also if you are going to the New York or UK premiere we would love to have you represent LU and send us pictures, videos, and stories about your experience! 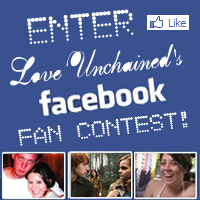 Please contact us either via the staff application or by email at staff@loveunchained.com! We also have a special behind the scenes video from Rupert's Attitude Magazine Photoshoot! The video was uploaded to the magazine's Youtube channel earlier today. You can view it below. Thanks to SnitchSeeker for keeping us up to date!